The support provided by The District Nurses focuses on maximising independence, promoting wellness and connection to others. 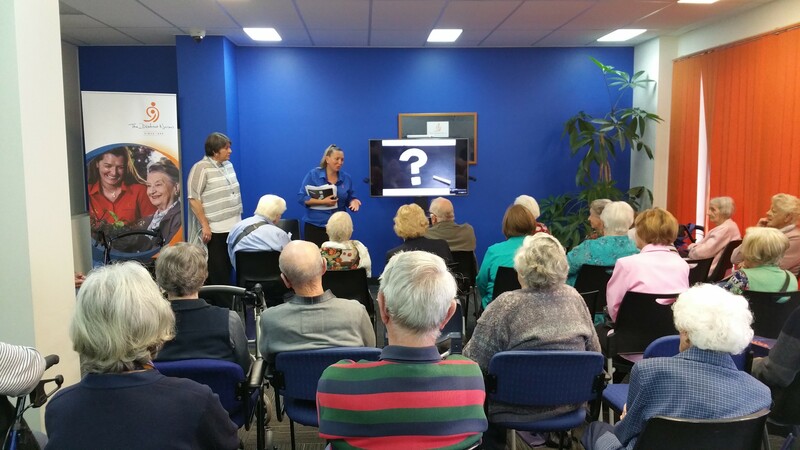 This year National Seniors Week was held in October and in excess of 500 separate events were held across the state. Each year Seniors Week aims to improve community attitudes towards older people and aging, facilitate community participation and activity by older people, and enhance community connections. As part of Seniors Week activities The District Nurses held an Open Day at their head office in Moonah. Participants were able to take part in a number of activities including gentle exercises, health and wellness checks, and learned about the range of services The District Nurses offer. These include Home Care Packages that support people to remain living independently at home. ‘My role is to help people navigate the aged care system, access services and coordinate Home Care Packages that are tailored to them and which meet their individual likes, needs and preferences’ said Kelly. More than 60 people attended The District Nurses Seniors Week open day and they plan to hold similar events in the future.